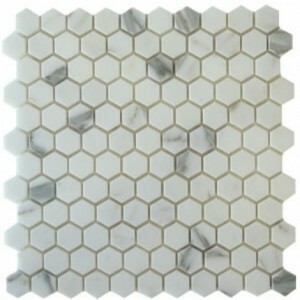 2x2 Honey Onyx Hexagon Patte..
2x2 Italian Calacatta Gold M..
1x1 Honey Onyx Hexagon Patte..
Hexagon tile and Hexagons Mosaic Tile is very popular for Hexagon style is a very contemporary design method these days. 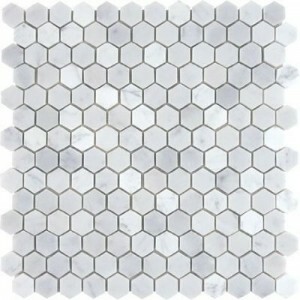 Porcelain, ceramic all kinds of tiles can be molded and shaped into the hexagon style. It comes with attractive features. It’s shape is such that it can make a small flooring look like a big one. 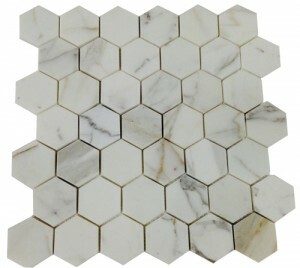 Hexagon tiles depending on the finish create an atmosphere that makes your home full of exquisite taste and delicacy. 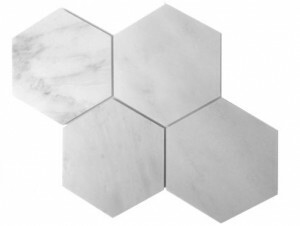 The marble hexagon tile offers a chance for the users of a premise to experience a new breath of beauty. 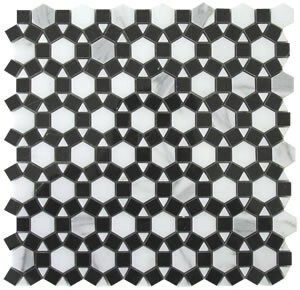 Usually, marble tiles are hard to match since they have different shades of a given color. In this manner, if the patterning is done using the regular shapes such as rectangles or squares, getting the aesthetic component becomes a nightmare. Therefore, the best way to achieve an excellent finishing of a house, bathroom, toilet or verandah is by getting a tile with many edges such as the ones shown below. It is easy to match the patterns when using the hexagon tiles.Marble tiles usually come in whirling patterns and various shades. This feature implies that it would be time-consuming to match one tile to another especially if the edges of the items are few. In many cases, contractors are forced to display them on a different surface first before transferring them one by one to the floor where they are to be fixed. 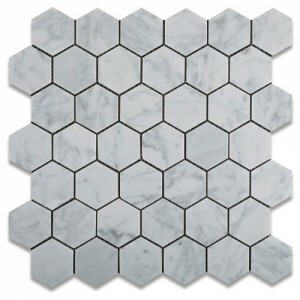 However, with six sides on the marble hexagon tiles, the contractor has many options to identify which side of the tile matches with the next one. 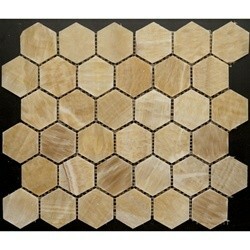 Using this type of tiles makes one avoid the stains and etch that comes with using other types of marble tiles. The hexagon shape will result in a substantial number of borders between one tile and the other. The general appearance of the floor where these tiles are used will be one of a variety of contours and lines. Therefore, the stains or etch that is prevalent on marble floor especially when one spills a drink on it will be barely visible in this pattern. 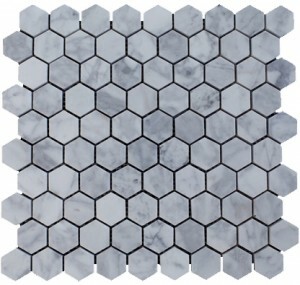 Finally, the hexagon tiles from marble give the floor a complicated mosaic outlook in cases where marble tiles of different strains are used. The hexagon tiles will give the contractor a chance to play around with the tile especially if they have varying texture or patterns as shown in the figure below.